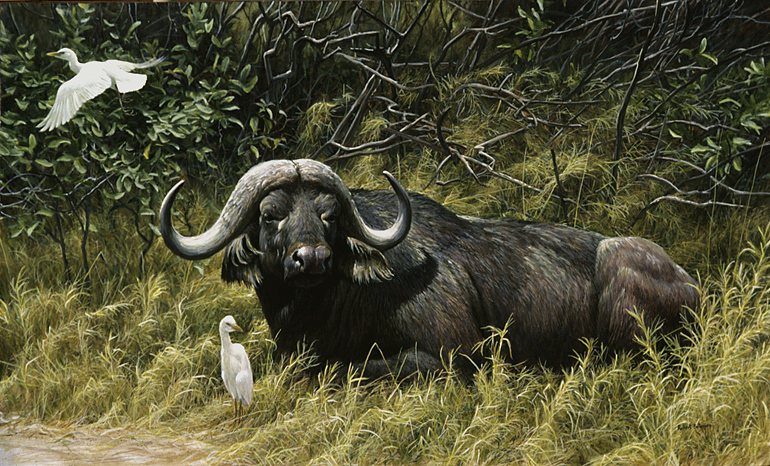 The Cape buffalo is a powerful and dangerous African mammal, often mistakenly called the water buffalo. The water buffalo is a slovenly, domestic animal which plows the rice paddies of Asia. The African Cape buffalo is more like a tough, Spanish fighting bull.